It is made from Czech and Japanese beads. 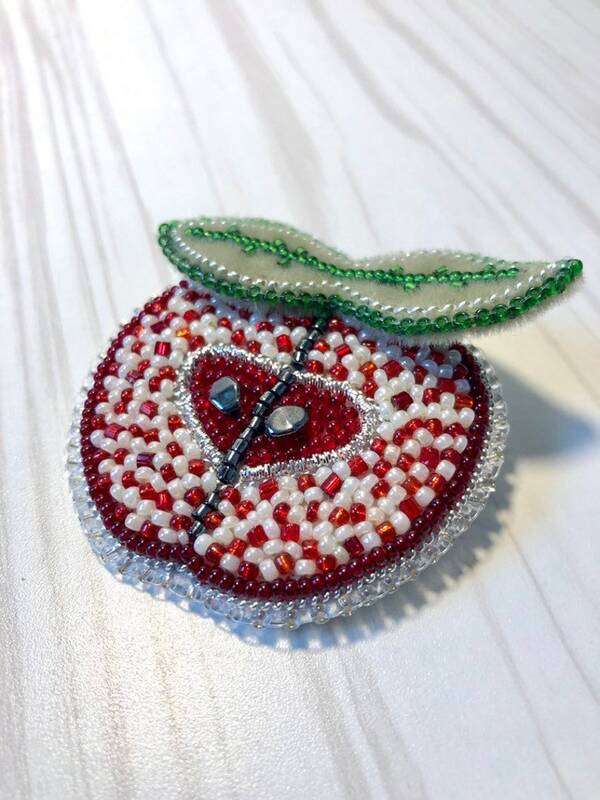 Handmade brooch with bead embroidery on genuine leather. This is done in a single copy. I hope you find what you are looking for in my store. (Colors may vary depending on screen resolution).